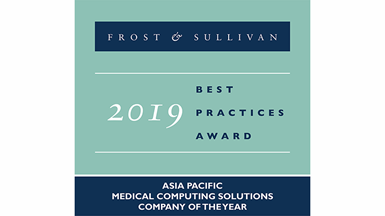 Taipei, Taiwan, July 20, 2017 – Advantech, a leading provider of a wide range of certified medical computing systems, is pleased to announce its POC series of medical-grade point-of-care terminals comprising two models differentiated according to display size – POC-W213/WP213 (21.5”), and POC-W243/WP243 (23.8”). Powered by the latest 6th Gen Intel® Core™ i processor that delivers up to a 30% increase in graphics performance, POC series terminals are high-performance medical-grade devices with the capability to support multiple displays for complex imaging-related healthcare applications, such as surgical modeling, radiology, and endoscopy. 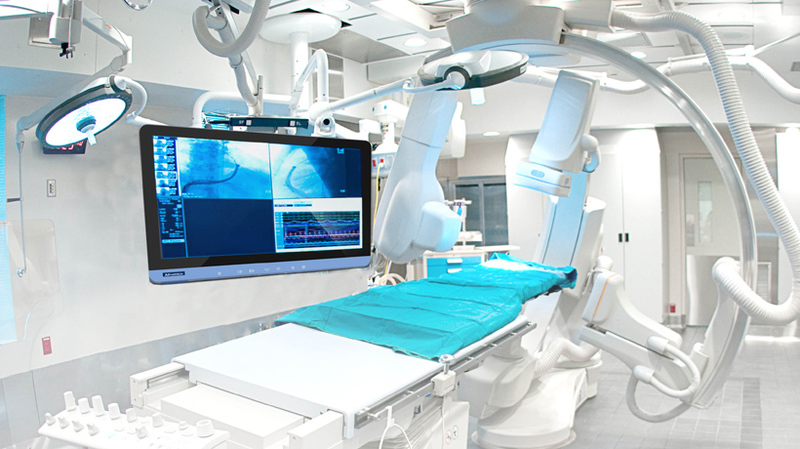 The lightweight and slim system design enables POC terminals to be flexibly mounted in diverse locations to serve as operating room (OR) dashboards, equipment control panels, and intensive care unit (ICU) information displays, providing critical data to medical staff to assist with life-saving decision making. 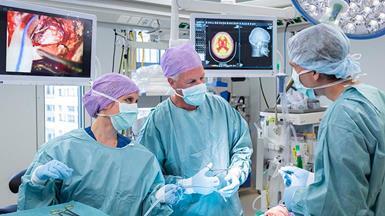 To support the high-resolution imaging requirements of critical care applications, POC terminal displays are equipped with in-plane switching (IPS) technology to provide superior color presentation, increased responsiveness, and, most importantly, a wider viewing angle without image distortion. The inclusion of optional DICOM presets creates a display compensation curve that makes it easier for the human eye to perceive different brightness levels, resulting in images that appear sharper and more detailed. Designed to meet strict safety and reliability regulations, POC terminals are compliant with UL60601-1, IEC 60601-1/60601-2, and EN 60601-1 certifications and feature medical-grade equipotential bonding and isolated COM/LAN ports to reduce the risk of current leakages and electric shock. Furthermore, all terminal units are 1P54 rated for protection against water and dust ingress and easy cleaning (with W213/WP213 also equipped with an IP65-rated front panel) to ensure that the highest levels of hygiene and infection control are maintained. In addition to the default system I/O, built-in expansion ports (1 PCIe x4 and 2 mini PCIe) allow POC terminals to be integrated with diverse peripherals, such as a 5 megapixel camera, smart card reader, and RFID/ Wi-Fi/Bluetooth modules, to expand the system functionalities according to specific application requirements. Moreover, the terminals are installed with Intel® Active Management Technology (AMT) to enable remote management and reduce maintenance costs. Considering their premium imaging capabilities, excellent computing performance, convenient operation, and flexible expansion, Advantech’s POC series terminals provide the ideal medical computing platforms for diverse imaging-related healthcare applications. Furthermore, the POC-WP models (POC-WP213/WP243) are equipped with an internal power supply unit to reduce cables and facilitate mounting installation for greater usability in critical care environments. POC-W213/WP213 with 21.5” True-Flat 16:9 Widescreen Multi-Touch Display Featuring a 21.5” true-flat 16:9 widescreen multi-touch display and ultra-slim (65 mm) lightweight (6.9 kg) design, POC-W213 offers superior imaging in a compact form factor to ensure easy installation in diverse environments. The IP54-rated terminal is also equipped with an IP65-rated front panel for enhanced protection from water and dust and easy cleaning, making it ideal for a wide range of critical care applications. The POC-W243 point-of-care terminal features a 24” true-flat 16:9 widescreen touch display that supports 1920 x 1080 Full HD resolution and 250 cd/m2 luminance to provide sharper, brighter, more precise imaging. The touchscreen display also features a surface hardness of 7H and supports 10-point multi-touch control as well as gloved operation for truly convenient user-friendly operation. 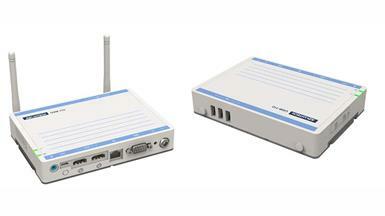 Advantech’s POC series of medical-grade point-of-care terminals are available for order now. For more information regarding the POC series or other Advantech digital healthcare solutions, please contact your local sales representative or visit our website at www.advantech.com. 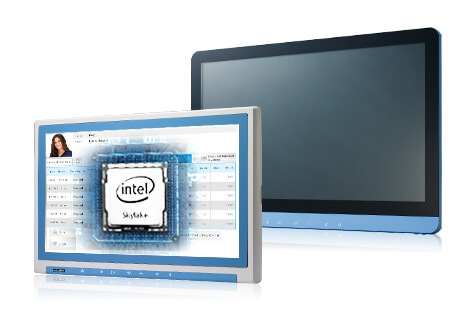 The POC-WP21 SERIES is a multimedia Intel® Core™ i7 or i5 processor series designed for mobile computing as a Medical Computer. It is a PC-based system with 21.5" wide screen TFT LCD display, single VGA port, HDMI out, dual on-board 10/ 100/1000 PCI-E Ethernet controllers, and one LAN port. It supports the Intel AMT9.5 function, has dual COM ports, quad USB 2.0 ports and a 24-bit stereo audio control- ler. With an optional 2.5" SATA drive, the POC-WP21 SERIES is a user-friendly computer. For system integrators, this highly integrated multimedia system lets you easily build a Point-of-Care Terminal into your applications. The POC-WP21 SERIES makes it an ideal and safe point-of-care solution for patients and hospital practitioners. The POC-WP21 SERIES is specially designed to resist spills and water damage, and ensures dust resistance with its protected LCD and sealed ports. The POC-WP21 SERIES is a reliable solution to your application's processing requirements.